This is the final Gratitude for 2014 for me - but it is not the final one ever. It is important to be grateful for what we have, and what is around us, for if we forget, then we can not truly appreciate. "I am grateful for the animal lovers in our community, as they are the best kind of people. " "The greatness of a nation can be judged by the way its animals are treated." In Wollongong, this year we saw a nasty element within our community - some of it was for the anti-animal side (at the extreme view believed pets should not be part of our community), and some was from the animal side (who believed their pets had the right to everything). Like any extreme view, neither was right, and both extreme sides missed the point of tolerance, understanding, cooperation and kindness. However, I may be biased, I do believe that those who are kinder to animals, are more likely to show kindness and compassion to their fellow man too. Those who are nasty or cruel to animals, are more likely (IMHO), to equally be violent or aggressive to their fellow human being. I am Dr Liz, the mad vet from Bellambi. Thank you for being part of the animalclinic family and bellambivet blog for 2014. Anyone who knows me, know that I have a quirky sense of humour. As many like to poke fun at me or my profession, I to can do my own bit of poking - at my profession, myself and at pet owners too! I usually keep the most intimate of poking in private though, but there are situations (like now), where I can't stay quiet and not share what I am really thinking. 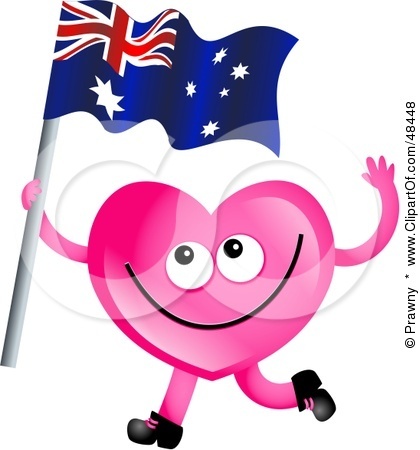 I'm all heart with an Aussie sense of humour... honestly! There are many online articles out there claiming the multiple things that vets say that aren't true. In other words, the procedures or actions of vets which are downright lies. I have come across so many comments and articles, that it isn't a specific one that has got me angry. You see, veterinarians are an amazing group of people. They are highly skilled, highly trained, hard working and extremely devoted to what is truly a life calling. 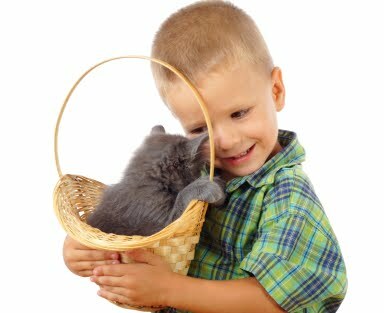 It has been shown that for most of us, the decision to become a vet occurred by the time we were 10 years old - it was an emotional decision based on a passion for all animals, rather than a practical understanding of the work load, income, lifestyle, and what the general population may end up thinking of us. For an intelligent group of people, we made a massive life choice based on pure emotion - really really stupid in retrospect. But it explains why vet bashing comments hurts so much. And what would otherwise be random comments or articles are painful for us to read. they were 10 years old. For me, I was only 8. I take any unjustified attack on my colleagues or my profession as personally as I would an attack on myself. I can guarantee you that there are a lot of blog posts, articles in magazines, or emails where people often write about the things that vets say that aren't true. Virtually every one of these "articles" I have read are really "anti-vet" or "vet bashing" or worse, advertorials for products that a vet would never recommend or use. When I read these articles, I know better, as do my colleagues, and those within the veterinary profession. These writers smatter a smidge of fact, with a lot of opinion, and call it "The Truth". Unfortunately, it is with "The Truth" that pet owners get themselves unstuck. There is as much truth in these articles as there is meat in meat pies (this is an Australian analogy that may be lost on some of you.... Australian meat pies are not really required to have meat in them). This sort of "vet bashing" really isn't new, but with the advent of social media outlets, it hits a whole new level. 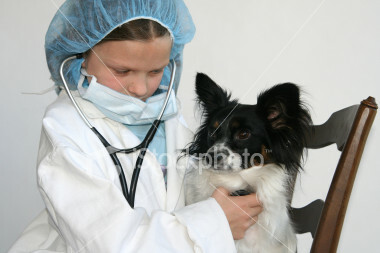 There are Facebook pages and websites devoted to hating veterinarians. Sadly, such campaigns have resulted in the suicide of the target. Often, the comments are just generally hating anything remotely associated with vets - anybody who is a vet is the target - whether justified or not! But I have no doubt that these anti-vet articles do gel with some people who just want to believe in a veterinary conspiracy theory. (i.e we are all money hungry, rich vets who sit by our fires drinking port swirling our moustaches relishing in the victims we have scammed that day for money for unnecessary tests, procedures, medications or whatever we are supposed to do in the scamming process according to "The Truth"). "Five things Vets Say that Aren't true"
What Vets Say that Aren't True - Number One: " I can see that you love your pet very much"
I have only said this line once as a lie. Probably many of my colleagues have never lied when they used this line, but I have no doubt that many other colleagues have been in a similar situation, where they had to say platitudes to the owner, but really feeling something different. "I can see you love your pet" (not)! I remember my situation clearly. It was a very sick, very very thin, Pomeranian. She was literally skin on bone. She was only 5 years old. The owner was wailing and crying on how much they loved "the dog" , but now it was too old, and therefore not worth it, money wise, to do anything to help it. "The dog" had a name but they never used it. They wanted "it " euthenased. In fact, it took alot to convince them to let me at least examine this little one first. For me, I cannot euthenase anything without knowing that it is the right thing to do for that animal. That rule is unbreakable! Even many years on, tears well up in my eyes at the state that beautiful dog was in. The eyes told me of the pain she was in. To this day, I remember her name too.... as a vet I have euthenased many loved animals, and all haunt me in one way or another. This one haunts me in a special way. 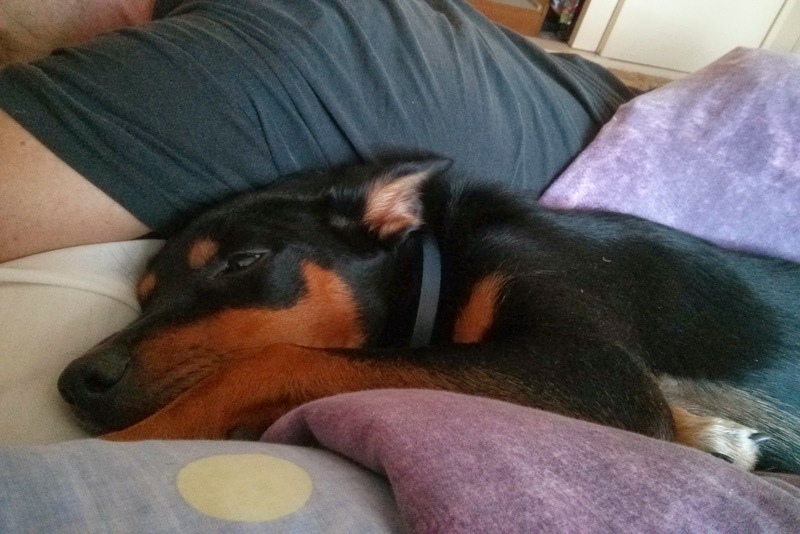 I told a lie to a pet owner (one of my rare situations when I have). Letting this little girl go to Doggie Heaven was the kindest thing I could've done. Seeing the state that she was in, and hearing the tears and wailing of the pet owner, claiming to love their pet so much, and that they could never live without it. Telling the owner what I truly thought of their version of love, was not going to change anything for this poor suffering girl.. The best I could do was give her the gift of a painfree death. And this is what I did. As for the owner, I don't know what happened to them. That day was the first and last time I saw them. What Vets Say that Aren't True - Number Two: "Sure, I am happy to come in after hours to see your pet" or another version is "Sure, I am happy to stay back late to see your pet "
Vets are people with spouses, family, outside hobbies... and all they want is a happy work/life balance like everyone else. I am happy to stay back later than our closing time to see a pet, if that is truly necessary, and it is a genuine emergency. We (Dirk and I) have stayed back to 9 or 10 or later at night, and weekends also, to do what needs to be done. But I am not happy when I find out that the pet has been sick on/off for a few weeks, and has been going down hill for the three days before the owner decides to bring it in. It won't die overnight, so it could be seen the following morning easily. Except, according to the owner, it can't. The owner is often due to fly out for a two week holiday the following morning, and suddenly, the pet's medical problem becomes an emergency. Or they can't because they are working that day. As a solo vet, I work Monday to Fridays 9 to 6, and Saturday 9 - 12. I rarely leave at 6 pm on a weeknight, and leaving at 12 on a Saturday is just a dream! So I am looking at a 50+ hour week easy! Except I am not paid an hourly rate, so more hours do not mean more pay! I rarely get a day off, and I am not going to apologise when I do take a break or an early mark. I am certainly not going to apologise for attending my children's school functions, presentations or helping with canteen. I am a mother of four beautiful children, who are more important to me than anything else in the world. But, if a pet is seriously ill and needs me, then if I can help, I will. No quibble, no argument. I am happy to do it, and my family understand. In fact they often help out. I always say, 'If I can I will, if I can't there is a good reason for that. " and I sometimes say "If this is not good enough for you, then you need to find another vet." We will stay back to suture up wounds (we do know that if any wound is sutured within the first three hours of the injury, the infection rate drops dramatically), and we also know that dogs with uterine infections need to be operated on sooner rather than later. My family know that, and they understand. I am not happy about taking time away from my own family all because of the pet owner's poor time management or poor prioritizing. It is unfair to my family and to me. So, yes, it is a lie if you hear a vet say "I am happy to stay back to whatever time to see your dog" as most times they are sacrificing their own family time to stay back to see your pet. So they when they do, be thankful as they are sacrificing their time to help you. 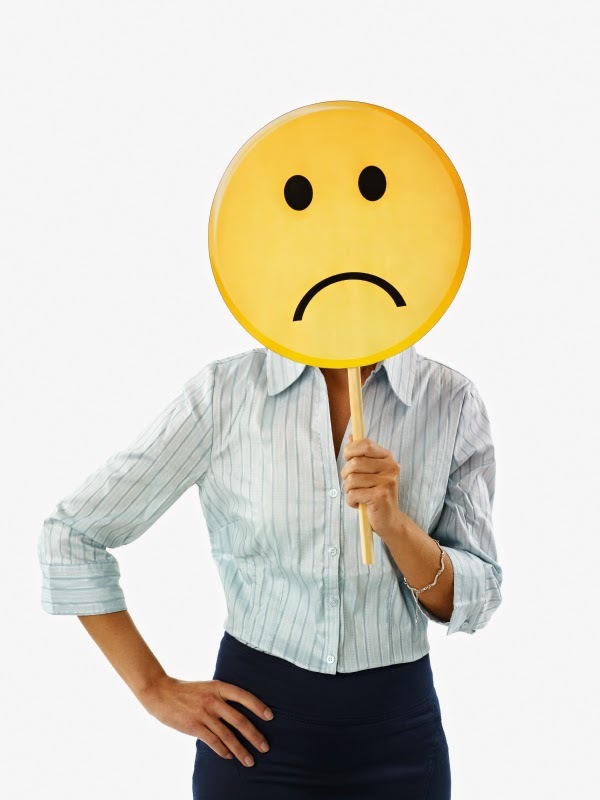 Just think about how you feel about doing overtime at short notice. What Vets Say that Aren't True - Number Three "Of course I don't mind that you can't pay now"
There is a funny ad on TV in Australia about the payment of EFTPOS fees to a business' bank account. Generally, it would take 2-3 days for the EFTPOS transaction to reach the business' account, and the ad is all about showing people taking products and services, and telling the business owner that they will pay them 3 days later. The ad is promoting a particular bank putting the funds of the transaction into the business account that night. For some reason, some pet owners feel they have the right to dictate their payment terms to a veterinary business, in the same way that these consumers do at those shops in the advertisement. They will say at the time of the consultation " I don't care how much it costs, I just want my pet fixed". Now, for the more experienced veterinarians, they know exactly what this phrase means. It translates to " I am not going to pay you a freakin' cent, but I want you to fix my pet"
"Not happy when I have to deal with a small number of thieving lying pet owners. You are a tiny tiny minority but you cause so much pain". In my veterinary practice, 97% of the time this statement of " Of course I don't mind" is actually true. For the pet owners that I know and see regularly, I do not mind that you can't pay now. You are family. It is a bond that I have with my pet owners, that I know that they will pay when they can, as they know that I will do the best I can for their pet, always. So, we are now talking about the 3% of loser clients, usually it is the client who has been once or twice only - where this statement by the vet becomes untrue. Even though the owners are told of what the costs are going to be before we start, they say at the time of discharge of the pet from hospital " I'll pay you $200 now, and then $50 a month". Say what? You are dictating terms of doing business with me? "Of course I don't mind that you were dishonest with me in the whole transaction process, and that I took time away from people who wanted my services, but I had to send elsewhere because I was dealing with your pet (that you are now not paying me for). " What Vets Say that Aren't True - Number Four "All I care about is the money"
Well, actually I have never said that, and I have never met a vet who has said that to someone. Virtually every vet though has had the line said to them that " All you care about is the money", so I suppose it is feasible for a vet to say that. If other people think it, then it must be what we must say (or think). But if we did say it, it would be a lie, as I don't care about the money. 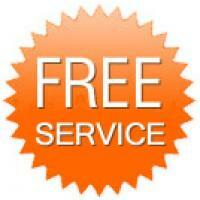 I do not see anything wrong with being paid for the work that I offer as a veterinarian. It is my job, my life, my vocation and my passion. Unfortunately, the last three do not pay my bills, but my job does. 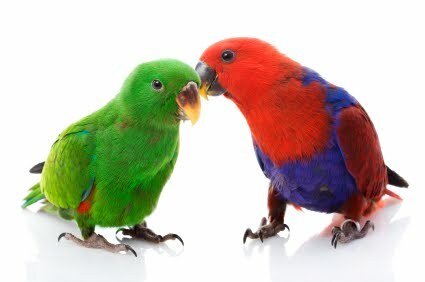 I find it strange that a philanthropist who earned his/her money selling computers or real estate or whatever, garners more respect donating money to animal causes, than vets who do more for animal causes than anybody. My advice to anyone who truly wishes to help animals, is to enter a high paying profession, earn lots and lots of money, and then work with animals in your spare time. You will get more satisfaction, and you will truly make a difference in an animal's life. Obviously being a vet isn't enough, as we are just in it for one thing only. What Vets Say that Aren't True - Number Five: A Microchip means your pet will make it home! Councils in NSW and governments elsewhere push the rhetoric that a pet's microchip is the only way it is going to make it back home. They make a law saying that all pets must be microchipped at point of sale. Unfortunately, at the point of sale, the microchip in the pet is in the breeders name usually. How, on God's Earth, is a microchip in a pet that is not going to reside with the breeder where it came from, is going to ensure its reunion with its final forever family, I have no idea. Especially if that breeder has to go through multiple years of records of different tan/black puppies with a white spot on the left foot, to find the right owner (if we are lucky). If microchipping truly meant reunion, then the microchip would be implanted in the presence of the forever family, and registered automatically in their name. If microchipping truly meant reunion, then the details would need to be updated each year. Pets change owners, people change mobiles and addresses. It's not the vets fault however, as we had no input into the initial legislation, and have had little impact on any changes since. At my vet hospital, we have been scanning and checking microchips for over 10 years now, and we find so many that are out of date. We tell owners, and most of them understand and appreciate what we are doing. To my surprise, many think that updating the database when you move is my responsibility. It's not. It is yours, as the owner of your pet to double check, and update all of the details. Under privacy laws in Australia, I cannot change anything on the NSW Companion Animals Database. I am Dr Liz, the mad vet from Bellambi. As a vet, I love seeing happy healthy pets, as this is why I entered the veterinary profession. To keep our animals healthy, to get them well, and, above all, make them happy members of your family, as well as the overall community, what I (with my colleagues) strive for. I do not believe in hatred or being unnecessarily nasty. I believe in compassion, kindness, tolerance and understanding, and try to extend that to all that I meet. Thank you for understanding my quirky sense of humour in reading "Five things Vets say that aren't true"
I graduated from the University of Sydney with my Bachelor of Veterinary Science degree in December, 1989. In Dec 2014, I will celebrate 25 years as a veterinarian, a milestone I thought I would never reach (and the reasons why is another story altogether).
" As more things change, the more they stay the same. " My care for all of the animals I see has not changed at all, but the tools and knowledge now available has changed tremendously. In "my day", the thermometer were of the mercury kind. You had to make sure you shook it down well before you "inserted" it, and it had to stay there for two minutes. These days, we now have digital aural and rectal thermometers, and even some microchips can also give a pet's temperature. Our multiparameter has an oeseophageal thermometer (in the ECG probe), so we can get both temperature and heart rhythm at the same time. Digital thermometer readings are within 5 seconds in most cases, and even with that, it seems like it is 4.5 seconds too long. I am certainly thankful for the newer thermometers (and I am very sure our pets are too). In the "good 'ol days", good pet foods were Chum and Pal, and puppy/kitten food was just adult dog food with extra calcium added. Boy, did we see a lot of problems as a result of insufficient aswell as too much calcium in the diet. These days, entire shops are devoted to the many brands of pet foods available, with every man and his dog (literally), producing their own form of "natural" pet food. As a kid, I remember that our dogs only needed their distemper and hepatitis shots as puppies, and that was it for life (virtually). Then parvovirus hit our dogs in the 1970's, with an entire susceptible population of dog's lining up at the vets, puking their poor little stomachs out. Vets were stunned at the severity of this new disease, and treatment was "fingers crossed", and hoped for the best. 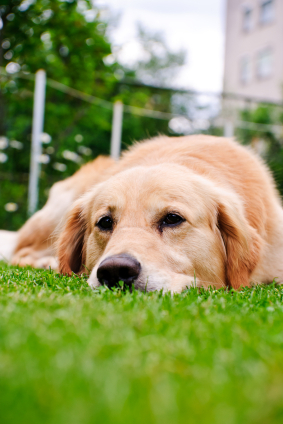 preventing parvovirus infection in our dogs. A vaccine soon became available after that, and we knew that we could prevent this disease through annual vaccinations, so that then became the new "normal". In-clinic tests can now easily prove whether a dog has parvovirus and/or coronavirus in 15 minutes, instead of the "good old days" of waiting for days for test results, by which time the dog was either dead or better. Nowadays, we now have the "three year" vaccine against distemper, hepatitis and parvovirus, as well as the option of "titre testing", to see if vaccinating will be of any further benefit. Vet hospitals, such as Russell Vale Animal Clinic even have titre testing "in house", so no longer needing to wait a week for these results even. Sadly, even with our amazing cheap pet vaccines, there still continue to be outbreaks of diseases such as parvo and distemper in our dog community, for various reasons. In the early days, pain medication as part of the surgery procedure was virtually non existant. In the practice I first worked at, there was a bottle of pethidine in the safe, and we were told to never use it for routine surgeries. The dogs and cats would not move for 3 to 7 days post operatively, most likely due to severe pain. I shudder now at the thought. On the shelf for arthritis was the buffered aspirin, cu algesic or phenylbutazone ( bute to the horse people.) There was nothing for cats at all. These days, most modern practices like mine have a pain management program for every surgical patient incorporating multimodal analgesia, from premedication with drugs like methadone or morphine, the use of local anaesthetics, and ongoing post operative pain monitoring and treatments. From the first day I opened my doors, pain management protocols were put into place, and they are constantly updated. I never want to go back to "the good 'ol days" as for our pets, they weren't so good. Oh wow.. In my mind's memory I see four shelves of black and red and white bottles, jars, sprays, collars and flea bombs. There were an assortment of treatments available, most of which struggled to work. Tick preventatives were scarce. In the practice I first worked in, they used to apply a blue cattle product onto the dogs called "tiguvon". When the dogs shook after it was applied, the clinic walls would get the blue splatter that could never be washed off. And then Frontline spray came on the market. Then Advantage spot on... And weren't we all skeptical on how a little drop thing could kill fleas and keep them away. Now we have tablets that last a month, and who is to say where the future will lead with respect to flea control. I only know that our dinosaurs had fleas, and so the battle will continue to go on! In the olden days, the annual check up included the Heartworm test to check for microfilaria, as well as the check up and vaccination. Vets rarely vaccinated for kennel cough, as it was uncommon back then. We would diagnose 2 to 3 heartworm positive cases each week, and would end up treating half of these. The other half would be euthenased due to the cost of treatment ( mostly because the dog had severe end stage liver and kidney failure). The arsenic based drug, thiacetarsemide was given intravenously to kill the adult heartworms, but this itself was also not a risk free treatment. Its amazing how vets have helped reduce the incidence of this disease. We have to thank the introduction of Heartgard in 1990 for this, and now obviously all of the other Heartworm preventatives that are out there. In the olden days, daily tablets was the only option. 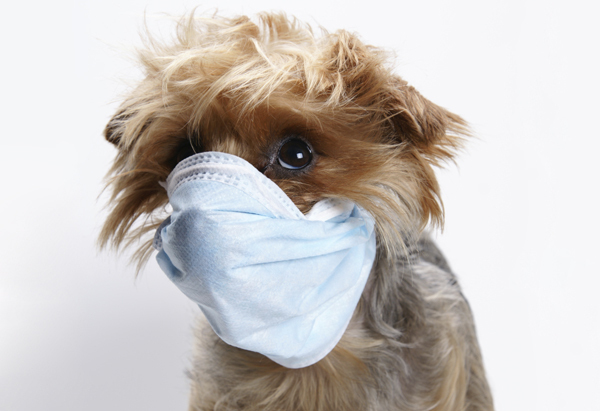 Now, too many pet owners assume their pets are healthy, and are foregoing the annual check up. I don't see that as progress, though. I remember in my first job in 1990, that the "A class vet hospital" I was employed at used bathroom scales to weigh a pet (after you weighed yourself first). Now, most vet hospitals would have large walk on scales. There was only one ultrasound machine at the University, and it was wheeled from room to room if needed. Whilst we learnt about the technology, very few students were allowed to touch it. Now even small vet hospitals like mine have an ultrasound machine. To get an MRI done at the University in the 1980's meant a trip to Royal Prince Alfred Hospital around the corner. And really, in those days, only a select few clients could afford it. Now, multiple veterinary centres in Sydney house an MRI, and CT scanners, with trade stands at the vet conferences showing CT scanners suitable for general veterinary hospitals. As a vet student in 1988, I spent three weeks in a country vet practice, which consisted of four rooms - one was the waiting/reception, second was the consult room, third was the operating theatre/treatment room, and fourth was where the cages where. The toilet doubled as the Xray developing room, and sometimes, as the isolation ward too. These days, most veterinary hospitals are specifically designed as hospitals, or refurbished shops (which is what Russell Vale Animal Clinic). Nowadays, many vet hospitals, like ours have digital radiography, complex anaesthetic monitoring equipment and modern laboratory equipment. I know that in the event of a "zombie apocalypse", many vet hospitals, like mine, would be willing and able to help out, with all of the equipment needed (assuming the zombies didn't mind being locked up in cages)! All in all, no matter how often I hear people complain about "why can't it be like the good old days", when they talk about veterinarians, I am thankful that we no longer have to practice like that. We no longer have to "guestimate" most of our diagnoses, and we do have the means to do so much to help our fellow animals. I am thankful that we have at our disposal a whole array of tests and medications, that help us diagnose and treat more accurately and more effectively than ever before. I am thankful that we have access to better information and protocols on how to treat some serious diseases. With these advances, more pets are living longer, happier lives. 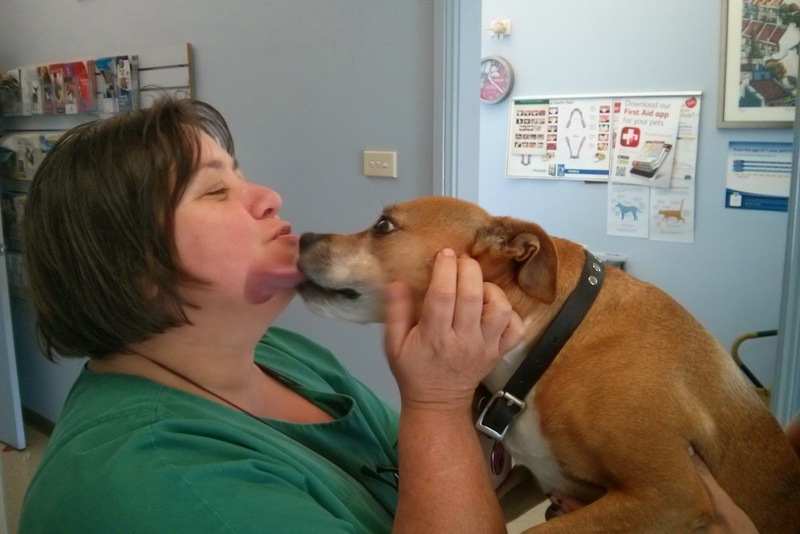 I am Dr Liz, and I am the vet from Russell Vale Animal Clinic. We are for happy, healthy pets (always). December 1989 was my last month of my University life, and I have been a practicing veterinarian ever since (even with four kids). I have to thank all of those loving pet owners who appreciate the work of veterinarians, and understand that we only want to do the best we can for all of our animals. This year, as last year, December is a time of reflection of the year past, and planning for the year to come. Through my bellambivet blog we shared some highs and lows of the year, and we hope we did it with compassion and kindness overall. I hope we gave good information and advice, and hope that if a question arose about your pet, that you felt comfortable enough to ask me, or your own vet if you are from elsewhere.. This year, on a personal and business level, was tough. I have had tough years in the past, but this year is in the top three. Whenever I start thinking not very nice things about people, I remember what my father used to say " what you say reflects more on you than it does on them". And it has been a year of thinking of not very nice things about people when we see the graffitti on the building walls and brand new window signage, or those who have decided to break in or steal from us. 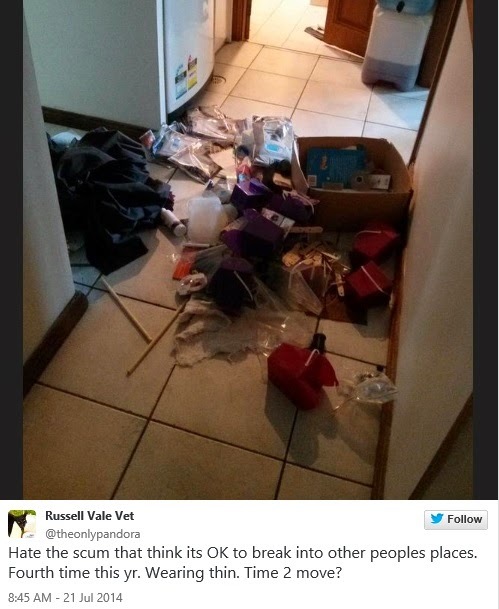 We had been broken into multiple times this year, with several thousands of dollars worth of tools stolen. I would've preferred to be in the local news for something a bit more upbeat and happy, rather than a frowny face (as pictured below). And then there are the pet owners who come in with their sick or injured pets who have no intention of paying anything for the treatment they are demanding for their pets. They look you straight in the face and say they'll pay next payday, but they never do. This has happened so many times this year. I am such a fool for trusting, that it scares me that I will turn into an unrecognisable bitter and cynical vet. When I hear my father's voice in my head, I feel like an awful person thinking that those who have done damage to my property, or who have stolen from me and my family (through direct or indirect stealing) as horrible people. That would make me a horrible person by default. 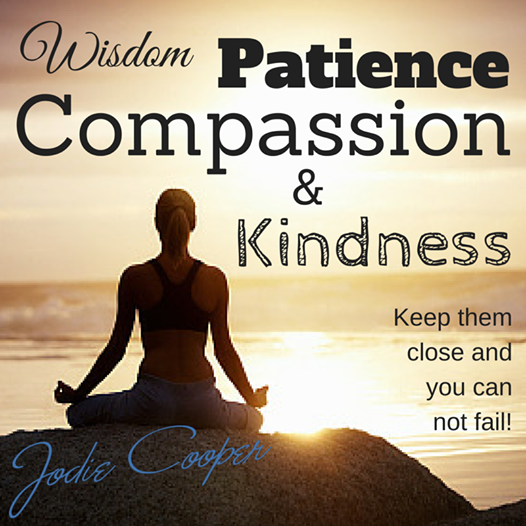 I try to practice kindness and compassion, yet I have moments of weakness of being a horrible person. When I hear the words of what some pet owners have said to me this year, and how that has made me feel, the view that I must be a horrible person is verified. How dare I, as an animal lover, one who has trained and studied hard to understand and treat the diseases of our animal friends, ask for money to treat these same pets. I should do it for the love of it, I am told. It must be all about the money, as you are asking to be paid a fee for your time, knowledge, expertise, and for the use of your veterinary equipment, I am informed. How do you sleep at night, I am asked. Why can't you be there at every minute of every day just in case. How unconscionable! ! And this year, the issue of suicide in my profession hit me, and my colleagues square in the face - as the world was shocked in the death of Robin Williams, we were struck by the very public suicides of Dr Shirley Koshi and Dr Sophia Yin. We knew that there were many others out there who suffer silently until they choose suicide to escape the pain. This year, I have felt like I was kicked to the ground, and even though I wasn't moving, I was still being kicked by these unrelentless acts of cruelty and overall comments made with disrespect and nastiness. No sooner would I lift my head up to breath, I was being knocked down again by more. When I told one person that their comment was hurtful, their reply to me was "I know". Yes, I understand the pain all to well. "Don't worry, be happy" was a phrase my father used to say in the last few months of his life. It was the same song we played at his funeral. It is those words that I keep repeating to myself, when I have had to face the things I've faced this year. I have had to face this as well as the usual stressors of veterinary work. Those who work in the industry know all too well which factors I am referring to. Whilst it was not the first time I had faced challenges, and had forged myself forward confident in that I was on the right path, this year, 2014, was the first time I truly wavered. Perhaps it was time I re-examined my path, and chose a different one? What gives me strength to stay is the love and support of my family... Dirk, who is the "rock" on which the vet hospital stands. He, who puts up with my tears, my frustrations, my anger, my joy and my pats on the back! My beautiful, smart and talented children who say " its ok mum" when I can't turn up to their school events, their concerts, their sports or their friend's birthday parties, all because I have to look after someone else's family pet. I know it is what I do, but my children didn't sign up for this life. 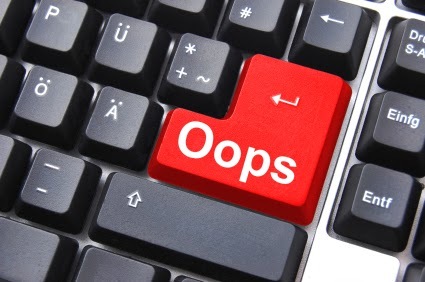 We have had a few "oops" moments this year! What gives me strength is my animalclinic family, those who, like family, can tell us when we need to pull up our socks, and do better next time. Our family who understands that our game may falter, but its not because we don't care, but due to reasons beyond our control, and gives us a second chance to fix the problem if we can. What gives me strength is this same family whom we have cried tears of joy when their pet's condition improves, or tears of sadness when we have to hold their paw and say farewell. 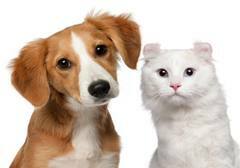 Russell Vale Animal Clinic can only continue to exist so long as there are pet owners our there who choose us as their family pet care provider. This fact is not lost on me whatsoever, and we try to honour that with the services we provide, and the care that we take. I assume nothing, and am grateful for everything. But this year hasn't all been a year of lows. This year we have had some amazing highs - such as our award wins and reaching Finalist status in many prestigious awards. We were Highly Commended in the Illawarra Women in Business Awards for Best Business, as well as the Australian Veterinary Association Practice of Excellence Awards. We won in the Illawarra and South Coast Business Awards for Outstanding Pet Care, and we were a finalist in the same section in the National Small Business Champion Awards for the second year in a row. We featured in the Australian Veterinary Association Vet Conference as a "recognised pet blogger", as well as in the magazine Vet Practice, for our social media expertise. We also were published in several Veterinary business resources, such as Vetanswers and Vetprac. In November, some anonymous kind person, nominated us for Kochie's "Rescue my website", with the winner to be announced on December 21st on Channel 7. This random act of kindness has not been lost on me. Our "Thanks to You" Open Day with our Get Wild reptile show was a runaway success (albeit a bit damp), and Santa Paws photos was, again, a fun filled few days. Wayne and Mary from King's Photography, yet again, excelled in their photography, and captured the spirit of many of our animalclinic family. Some amazing highs and memories, which we hold onto. It is all "Thanks to you", that we are able to continue on into 2015 and beyond. Of course, 2014 also the year that Piper joined our family, and what a joy that has been (in amongst her medical and surgical dramas). She certainly provided some good topics for my blog this year. And let me not forget Cicero, our new rabbit. Piper, like all children, look so angelic when they are asleep. It was also the year that Old George came into our lives, and stayed for six months. One of life's true gentlemen, as they say. He is one of the many pets that saved me this year. I shall never forget him. I still cry when I remember the state he was in when we first saw him that Saturday afternoon, and the way he was on his last day, when he took his last breath in the arms of Dirk. As I reflect on this year, and plan for the next, I have a huge smile on my face, overall happy in the knowledge of all the good things in my life and the good people around me. Bad things have happened, and bad people do exist, and I acknowledge them and their actions. I will not pretend otherwise. But they do not define me or my life. 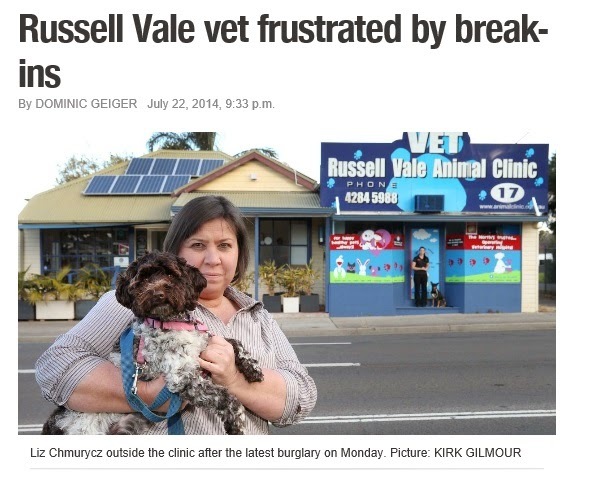 Russell Vale Animal Clinic is here to stay, for now, and for that I am happy to sing that to the clouds above. I know that we will continue to face our challenges, but, as they say they are "first world problems". I hear my Dad's voice when he says "Don't worry, be happy", as I try to remain true to what is important in life. I have my health, my family's health, a roof over my head, and safe food and water. 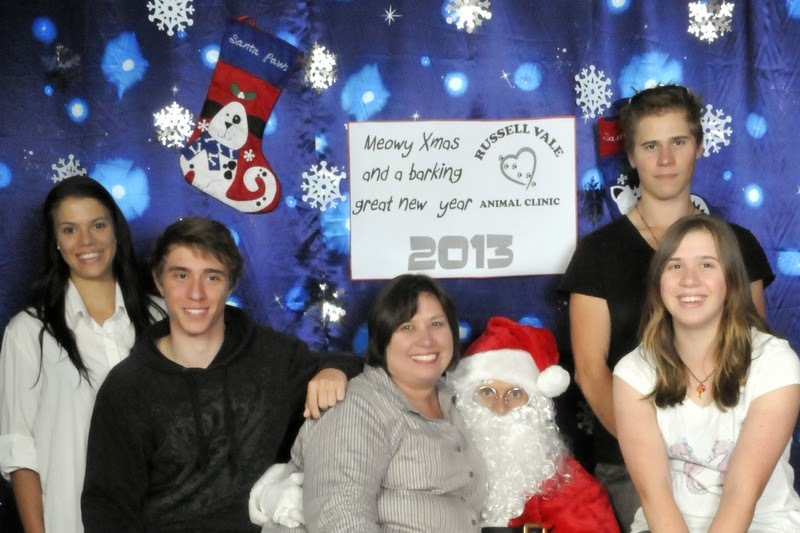 As I reflect on this year, I have been a vet for 25 years, and Russell Vale Animal Clinic has been open for 16 years. It has certainly been a journey that I had never thought would turn out the way it has. I am Dr Liz, the mad vet from Bellambi. Thank you for being part of my family, and for being part of the "highs" of 2014. The other day, during a cleanout of the back bedroom at the vet hospital, I came across one of my original Business Plans for Russell Vale Animal Clinic. It was dated 1997. I read through the Mission Statement that I had written, looked at the dreams and aspirations that I had for the future of this special little vet hospital. Most vets started out doing exactly this. There were words such as "care of our animals", " respect" " understanding" "family" littered in amongst the financial words in the business plan. I had a vision of being a wellness centre, where the care of each pet was age appropriate. I had a vision of a community of animal lovers, with each supporting each other, as communities and families do. A few weeks ago, I asked my clients for help in writing a blurb for a website competition, and this is what someone else wrote! It is heart warming to know that we are doing what we had set out to achieve. We love to help all of our animalclinic family members, and here are some ways that we do help that you might not be aware of. So in the spirit of the "Twelve days of Christmas my true love gave to me", here is a list of the twelve things this mad vet at Russell Vale vets, gives to you. We know that pet owners these days buy their pet care products from anywhere - from the internet, from the supermarket, and from the pet shop. As a vet, I am not here to "to sell you product", but to make sure your pet is on the right product. We have seen dogs on three different types of Heartworm preventatives, and dogs on none (thinking that they were). Your pet's health is important to you and definitely to us, so why not speak to trained experts in all things animal? Of course we sell a broad range of pet foods, flea and tick preventatives, dental care products and much much more, and we stand by each and every product we sell. The best pet care advice always has to come from your local vet. To find out more about buying pet products from the supermarket, you can read it here. To know more on how we can help you, just come in and ask. At every visit, your pet's microchip is scanned, and then we do the next step. We check the NSW and national databases to confirm that the details are up to date. We have seen many new pets whose details are "out of date" or just plain wrong. It is for your peace of mind that we check - we want to know that the microchip is operating well, is sitting where it is supposed to be sitting, and that the information is current too. Correct information is the ONLY way a pet is going to make it back home. As of November 2014, we are now part of the National Pet Register's ChipChecker campaign, for your peace of mind. We were always available for advice and a friendly ear on the phone, but in the day of internet, we have transformed this to email 24/7. Any time of the day or night, swing through an email, and we will help you as much as we can. It can take a few days to get a reply, so not suited for the emergency situation, but most times, it is within a few hours. It can be for a simple question, like why does my pet get hiccups, to something more serious. We can't diagnose over the internet, but we can certainly be that friendly ear to listen to you about your pet's problems. Want to know more? You can go here! 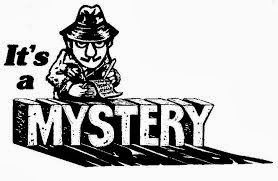 Each month, I write and publish our own newsletter - its loads of fun! I just love to share knowledge about our animal friends. It's all original and free information. Do you receive it? If not, you should see the sign up box on the right. If you want to see past issues, you can visit here. Our dental checks are free all year round - and it is perfect for any pet (whether we have seen them before or not). All new pets are welcome too. Dental disease still remains the most common disease in our pets, and yet, it is still the most ignored. We know that the way to a happy, healthy life is through a healthy, pain free mouth. Many owners still believe a happy eating pet can't be in pain with their dental disease. Wrong! All of our puppies and kittens also need dental checks when they turn six months old, to make sure all of the baby teeth are gone, and the adult teeth are through. We want to make sure that there are no retained baby teeth, or adult teeth hitting soft tissue, or any other abnormality. We do know that early intervention can save every pet a lot of pain. We have a PocketVet app, as well as a First Aid app. PocketVet is a handy tool, where you can put all of your pet's information in. It also gives you easy access to our phone numbers, and access to any emergency alerts too. Click here. Our home page as the link for the Android phone version. First Aid App is especially handy in the event of an emergency, or general health care questions (such as bee sting or snake bite). It lists what are the signs to watch out for, as well as give contact details of your closest emergency facility. Click here to access the voucher. Within 48 hours of your pet joining your household, you should get an independent veterinary check up. We love puppies and kittens, and so, we are happy to offer a free full first vet check. Check Ups? Yup, that is what we need! 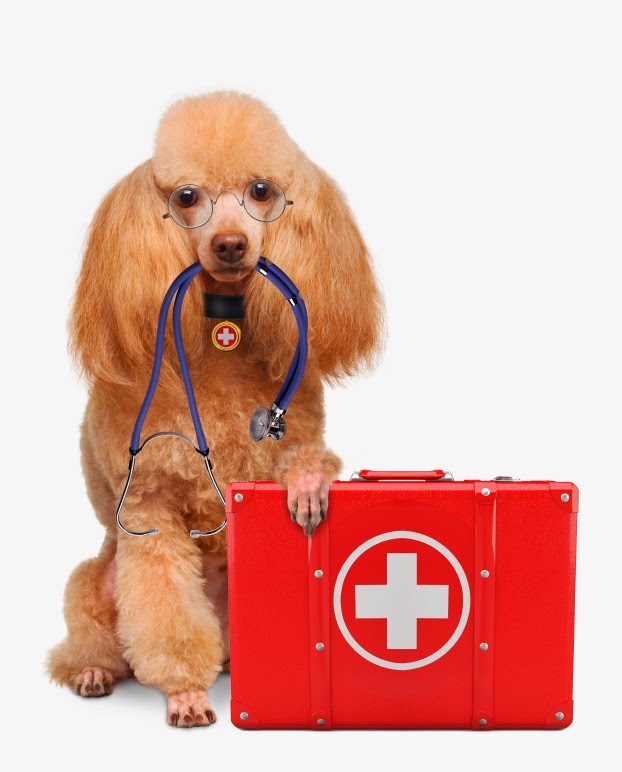 Our vet checks are very comprehensive, covering your pet from tip to tail. Your pet's health and welfare is very important to all of us here, but we know that revisits are best to "tweak the plan" if needed. 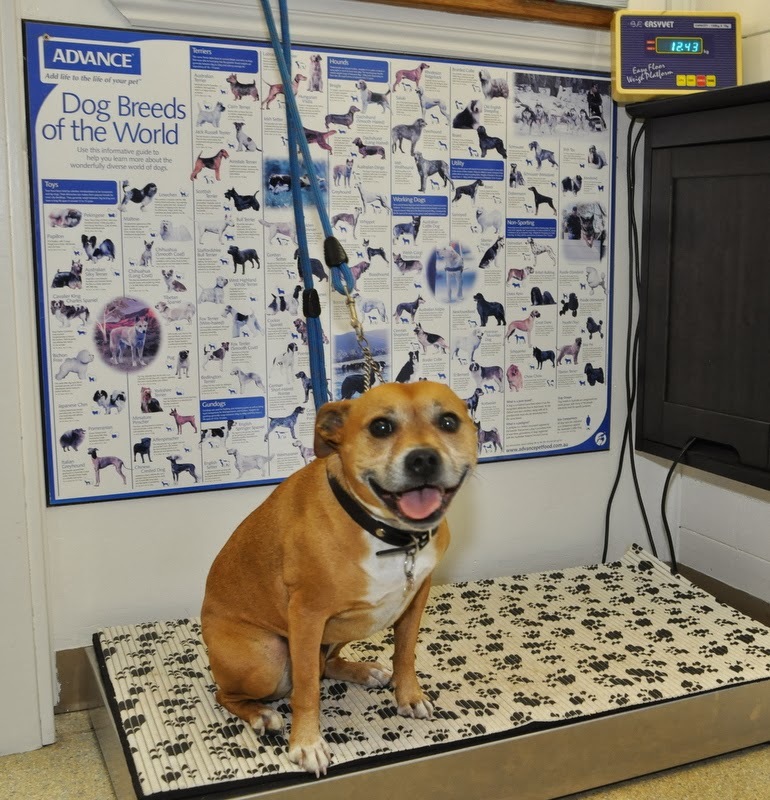 Our step on scales are always available for you to use - to weigh yourself, luggage, and obviously your family pet. Don't be frightened to come in to weigh your pet on a regular basis, and always remind us to update the weight on our system. We often use weight as a guide to a pet's health, with an unexpected weight loss a cause for concern. And, it makes for "happy vet visits" for your pet - with a treat and a happy smile from all of us. The animalclinic café is a little hub where you an enjoy a coffee, tea and other light refreshments. Very handy for the kiddies too, as aren't they always hungry? The library has a range of books which you can borrow or peruse. There are even books for the kids to read too. We make our own liver jerky treats - we know it is made fresh using human grade ingredients. All pets deserve to be pampered when they come in, and we love to make it fun for everyone. The days of stressful vet visits is over! Through my bellambivet blog and my website, I have created resources for the most common pet problems. The "Astonishing Secrets" series of blog posts covers topics from hot spots, itchy pets and sore ear; the "Behaviour Bytes" series covers anxiety and tips to help your pet. we work hard to help all of you loving pet owners do exactly that. Take care everyone, and have a Meowy Christmas, and a Howling New Year!